Living a healthy lifestyle starts at home. My son, Mike Jr. and his partner, Lisa are all about living a healthy lifestyle - he even drinks a green smoothie every day, and she’s a naturopath. Before you embrace his hippie lifestyle, you can start being more active and living better around the home by taking care of some of your maintenance projects that are a little bit more physical. The following projects will get you moving and stretching as you tackle those much-needed jobs around the house that will keep it safe, efficient, and looking great. What are those items on your to-do list that you never seem to get around to? 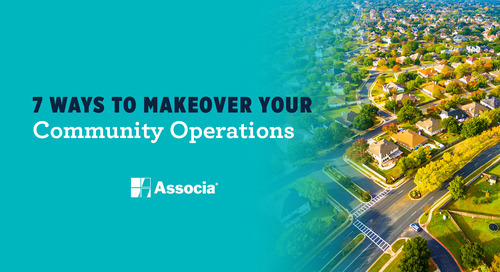 I’m talking about those big jobs, like clearing the clutter from your garage. Start by cataloguing the items in your garage, and separate things into piles to throw out, to donate, and to keep. As you’re organizing, you’ll be moving around, lifting heavy objects (remember to lift with your legs, not your back), bending and reaching. At the end of your project, you may even find that your two-car garage can actually fit two cars. Taking care of your yard is a great way to keep active around the house with chores that need to be completed regularly. Mowing your lawn, planting your garden, and pruning your trees and shrubs will keep you active while also increasing the curb appeal of your space. Once you’ve got a yard you’re proud of, it’s the perfect excuse to kick back and enjoy a nice BBQ. 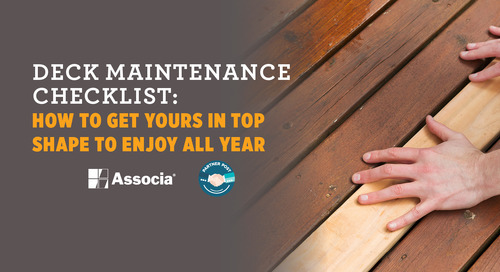 Your home needs its regular maintenance to keep it healthy, too. Each year you should be checking the caulking around your windows and doors to see if it’s still intact. Missing or cracked caulking can be a major source of air loss around your home - and to keep your home energy efficient, you want to ensure it’s in good shape. If you notice weak spots, you should be replacing them immediately. You’ll also want to be regularly checking and cleaning your gutters to keep water freely flowing away from your house. Both of these chores will require you to be climbing up and down your ladder (not to mention, carrying it from spot to spot). As you climb, you’ll work out those muscles; just make sure you’re always using your ladder safely. Keep 3 points of contact on the ladder at all times, and use the 4 to 1 rule. For every 4 feet you have to climb, bring the base of the ladder out by 1 foot. Each year in the US, more than 250,000 people are injured when using a ladder. For anybody using a ladder, I recommend using Ladder Lockdown, which, when used combined with some common sense, can prevent ladder kick out - and that’ll keep you safe as you climb. There are lots of ways to stay active while you’re at home. Even taking care of your regular maintenance items is a great way to get you up off the couch and moving. To me, that’s making it right.